Some people doubted it. Some people thought it was proof God never existed, or that the Bible couldn’t be trusted. Some people saw it as boring – just scientists doing science. I thought it was amazing. 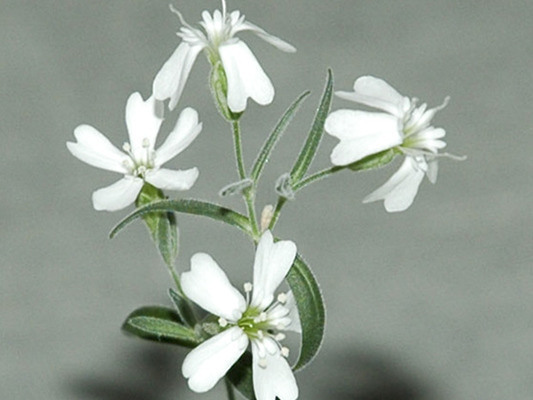 This flower has modern cousins, but this exact species hasn’t been seen in ten thousand years and it’s growing right now in a lab in Russia. That’s amazing. Knowing that beauty can lie dormant for that many years, or that God was creating things I’d never see and long before I was ever born, or that exploring Creation deeply can bring all those things back to life – it makes me feel minuscule and enormous all at once. Like the first time you stand at the base of a mountain and decide you’re going to climb it. There are plenty of things in this world that are boring, or frustrating, or challenging. But there are so many more things that are beautiful, moving, even life-altering. And which ones you see depends largely on your point of view. Will you choose to see only the challenges, or will you change your point of view? Will you look closely enough to see God at work? PS: If I’m being honest, my favorite thoughts on looking closely and feeling grateful come from comedian Louis C.K. PPS: My apologies to Chuck Belcher, my 6th (and 8th) grade science teacher who had to hear me whine that science was boring. I got it eventually, Chuck.